Nimanja MemPurr Rewards is a program designed to show our appreciation to our loyal customers. You and your pets are in for a treat. Yes, that’s right. 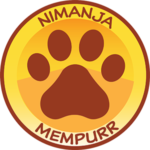 Become a Nimanja MemPurr today and get tons of perks including 100 FREE Purr Points at registration, a BND 10 reward for every 200 Purr Points (earn 1 Purr Point for every dollar you spend), birthday celebration and access to exclusive offers. Trust us, your pets will thank you! Have you ever wondered when was the last time you bought your cat food? Or what was the last pet supply you bought? Keep track of your Nimanja MemPurr transactions. From your account dashboard you can view your recent orders, manage your shipping and billing addresses and edit your password and account details. You can also refer a friend, redeem any gift vouchers and track down your Nimanja MemPurr points. Join for FREE today and receive 100 FREE Purr Points on us. Even if you don’t need pet supplies today, make sure you get in on this offer. Don’t let your friends miss out on the excitement either. Go on, refer a friend here. Receive a BND 10 coupon for every 200 Purr Points you earn. You will receive a coupon code via email and you must redeem the reward within 60 days. Currently, you will only be able to redeem your rewards on Nimanja.com; however, we will update our Nimanja MemPurrs once Purr Points are eligible for redemption in other retail stores. Please stay tuned! 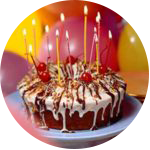 Enjoy a 5% Discount on your birthday! We want to treat you on your special day. You will receive a coupon code via email and you must redeem the reward within 60 days. Simply apply the coupon code at checkout and you will see your new total amount after discount. From time to time, we will update our Nimanja MemPurrs on exclusive deals. Typically, these deals will be offered during the festive seasons or on national holidays. Just watch out for that email! You will receive a coupon code via email and you must redeem the reward within 60 days. Simply apply the coupon code at checkout and you will see your new total amount. In addition, our Nimanja MemPurrs may receive FREE samples with their purchases. Look out for them!